Massachusetts And Illinois ~ Challenge Barrack’s Official Ballot Eligibility. VIDEO TODAY 1/26/2012 => Obama Eligibility On Trial In Georgia: Evidence For The FIRST Time Has NOW Been Entered Into Court! Obama Blocked From Registering For Alabama State Primary Until Eligibility Is Validated By Court. Mitt Romney’s Father Was A Mexican Citizen When Mitt Was Born. This week, Retired ASAR LTC William F. Reade filed an official ballot challenge with election officials, contending that Barack Obama is ineligible to appear on the Massachusetts ballot. Reade’s challenge is well researched and filled with numerous legal citations to back his case. But perhaps most interesting are the similarities between LTC Reade’s and Barack Obama’s citizenship status. Like Obama, Reade was born in the United States. But, also like Obama whose father was a Kenyan citizen and therefore a British subject, Reade’s father was also a British subject. As such, Reade correctly points out that he himself is not a “natural born citizen” as defined by the Supreme Court and therefore, like Barack Obama, Reade is also ineligible for the office of President. More states are hearing the call to question Obama’s eligibility to appear on our ballots. In Obama’s home state of Illinois, three separate ballot challenges have been filed which question Obama’s eligibility and seek to bar him from the ballot. Finally, inch by inch, the movement to expose the Impostor in Chief is gaining ground. BUT WE NEED YOUR HELP DESPERATELY. Ballot challenges in five states will not stop Barack Obama. We must compel the rest of the states to do their duty! KEEP INELIGIBLE OBAMA OFF 2012 ELECTION BALLOTS – FAX THE STATES NOW! Georgia Administrative Law Judge Malihi Says An Indiana Rule Is Above The U.S. Constitution: Malihi Abuses His Judicial Discretion By Feigning Presidential Eligibility For Obama! Obama Kept On Georgia Ballet: Georgia Received $8.3 Billion Within 2 Days Of SOS Brian Kemp’s Favorable Decision! Georgia Administrative Law Judge Malihi. Attorney Orly Taitz’ website is reporting that a Georgia Judge has issued a subpoena demanding Barack Obama appear in court January 26 AND produce his original long form birth certificate, passport records, college registration records and more. Obama’s $2.8 Million Legal Bill To Hide His Birth Certificate Grows: Judge Orders Obama To Appear In Court After Obama Tried To Quash Subpoena! Dr. Orly Taitz, attorney for one of the plaintiffs in the Georgia eligibility cases working their way rapidly through the courts, posted a copy of what is reportedly a subpoena, issued by Judge Michael Malihi of Georgia. Redacted certified Social Security card applications for each of the aliases and other legal names used by Barack Obama, including but not limited to his legal surname when adopted by step-father Lolo Soetoro in Indonesia. In addition, Judge Malihi has reportedly also subpoenaed Hawaii Health Department officials and commanded them to produce an original certified copy of Obama’s long form birth certificate. Congressional Hearings Held To Determine Sen. John McCain’s Constitutionality For Presidency: No Controlling Authority To Constitutionally Verify Hussein Obama’s Alleged Hawaiian Natural Birth. NWO’s British Petroleum Ruins America’s Gulf ~ But Drills 15 New Oil & Gasoline Projects In Obama’s Indonesia To Be Online In 2012. Barack Hussein Obama II, has some of the highest-rent attorneys in the country working tirelessly to keep the question of his eligibility for office out of court. And no wonder, because whether he was born in Hawaii or not, it can be compellingly argued under law that according to binding precedents laid out by the Supreme Court, Barack Hussein Obama II does not qualify as a natural born Citizen. The U.S. Constitution very clearly requires, in a unique usage and application of the term, that the president must be a “natural born Citizen” to be eligible for the nation’s highest office. “Natural born Citizen” is demonstrably held by the Founders in Article II, Section 1 as distinct and different than “Citizen” and even “native born Citizen” – that is, born under jus soli, on native soil. Documentary evidence shows that in the Founding era, the common law view was that a natural born Citizen was that person born within United States territory to parents who were themselves United States Citizens. Nearly one hundred years after the Constitution was ratified, in the 1875 unanimous Supreme Court ruling of Minor v. Happerset, the Supreme Court explicitly held a “natural born Citizen” to be a Citizen whose parents were both U.S. Citizens at the time of the person’s birth. This finding was, and continues to be, fully consistent with U.S. history in Supreme Court case decisions, and law enacted and enforced by the United States Congress. This time-honored historical record stands against the strenuous lying, dissembling and countless other Alinsky-esque strategies deployed to discredit the legitimacy and derail the legal efforts of all those Citizens who are raising objections to Obama’s eligibility for office. By Barak Obama’s own admission, his father was a native of Kenya and was NEVER a U.S. Citizen. Therefore, Barack Hussein Obama II would, under long-standing custom, common law, and Supreme Court precedent, automatically be INELIGIBLE to hold the office of President of the United States. It is no wonder Barack Hussein Obama II has spent millions of dollars in an attempt to keep the matter of his qualifications for eligibility out of court. But even the most expensive attorneys are no match for a judge who understands the Constitution and the rule of law. As we reported earlier, a number of Georgia voters filed lawsuits questioning Barack Hussein Obama’s eligibility to appear on the Georgia Presidential ballot. Obama’s lawyers attempted to get the case thrown out, but Georgia Judge Malihi responded with a resounding NO. The January 26th hearing should be a blockbuster, as it is the first in the nation that proposes to consider on the merits, whether Barack Hussein Obama II is eligible to be President of the United States of America. But we CANNOT rest now and hope the Georgia case is permitted to hear REAL evidence, and settles all large questions in this murky mess of Obama’s eligibility for office. Even if Obama is ultimately kept off Georgia’s presidential ballot, Obama will only lose 16 electoral votes. While this is an important precedent, and not an insignificant number, we must fight to ensure that many other states follow Georgia’s lead. WE THE PEOPLE ARE THE U.S. CONSTITUTION AND ROBERTS SAYS WE HAVE NO STANDING – ANATHEMA!! WASHINGTON DC HAS SHOWN ITS COWARDICE! 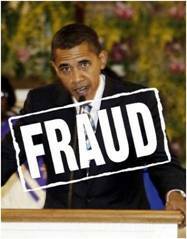 OUR ONLY HOPE OF SAVING AMERICA IS TO KEEP THE DUPLICITOUS AND FRAUDULENT BARACK HUSSEIN OBAMA II OFF OUR STATES’ ELECTION BALLOTS! Georgia becomes the first state to pursue Obama ineligibility complaints and the end result may keep Barack Obama OFF the Georgia 2012 ballot! Georgia Secretary of State Brian Kemp’s office is pursuing FIVE separate ineligibility complaints filed by Georgia residents. Each complaint argues that Barack Hussein Obama II is ineligible to appear on the 2012 Georgia Presidential ballot. Secretary Kemp has assigned 5 different hearings under five different judges, so that the complaints can move forward. FAILURE TO APPEAR ON THE GEORGIA BALLOT WOULD COST OBAMA DEVASTATING MEDIA, AND 15 ELECTORAL VOTES! The White House’s badly forged “birth certificate” has not ended the debate on Barack Obama’s eligibility. Rather, it has opened the door for further allegations of fraud and ineligibility. Citizen Powell is correct that the legal question of natural born citizenship is unresolved in American jurisprudence, and in the nefarious case of Barack Hussein Obama sits as a gaping wound to the Constitution’s integrity, and to our ordered liberty. America is left in an abject posture of unprecedented vulnerability to our national security, sovereignty and prosperity UNLESS AND UNTIL THIS CONSTITUTIONAL CRISIS IS RESOLVED! We MUST continue the outcry to determine the truth, and restore the Constitution. Weekend Reflections: AOL Poll ~ 67% Support Vetting Obama’s Eligibility ~ All The More Astonishing Is That AOL is Owned by Liberal CNN/Time Warner Which Was Founded By Ted Turner And Invested Into By George Soros. Blagojevich Awaits Obama In Prison: Obama’s Natural Born Status To Enter Senate Ethics Committee! ← Weekend Reflections: Democrats This Stupid Might Forget To Breathe!